New All-Inclusive Resort...No Passport Required! There is now an all new, all suite, all inclusive resort in St. Maarten!! This Resort and Experience is something completely new to St. Maarten. Added bonus: it's within walking distance to the Maho Village and the Casino Royale for nightlife, shopping and more. Be one of the first to experience the luxury of this new resort. Opening November 2014. Call McMillian Travel today to book your luxury vacation! Call us at 704-994-8747 ext. 1. We assist busy couples and families in planning customized, well-planned travel experiences. The Elements: Earth, Wind and Fire! For Earth, Wind and Fire, there are no words. If you have seen them perform, you know how they put on a show. If you do not, you are missing a treat! Basically, they showed out! Phillip Bailey hit notes that aren't even on the chart yet. Since there are no words to describe the awesome performance, here are some photos of the wonderful time we had. Enjoy! The Buster Cooper Quartet started things off right! The trombone player, Mr. Cooper, is from the St. Petersburg, Fl area and has done music for Murder She Wrote (one of my favorite old TV shows) and played with Jazz greats like Josephine Baker, Jackie Wilson, Miles Davis, Lionel Hampton and Ella Fitzgerald, just to name a few. I really enjoyed their music and will be looking for their CD's online. 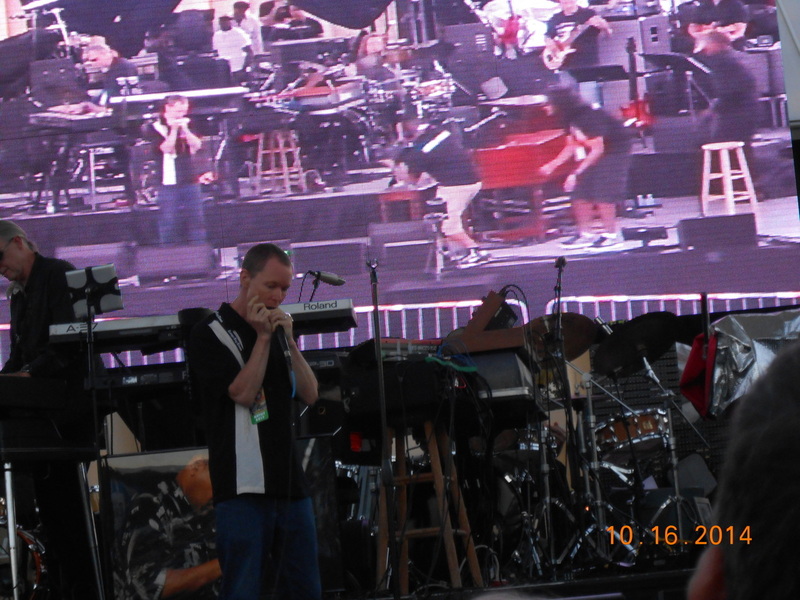 The group Changing Keys was the second act act to perform. They were awesome too! They played many great hits but my favorites were when they did tributes to George Duke, Herbie Hancock and others who have died. Just when I thought it couldn't get any better, a surprise guest, jazz pianist Chick Corea, came on the stage. I now know, up close, why he is one of the great jazz musicians. We were all entertained by the talented Shawn Brown who played the keyboards in a unique and awesome way. While listening to Mr. Brown in amazement, I told my husband that I couldn't think that fast, much less play the keyboard that fast. Listening to him was a great experience that I will not forget. Next blog: Earth, Wind and Fire. Don't read about it. Be there. 2015 Clearwater Jazz Holiday. Does it matter who is there? You already know it's going to be great! Call our office to reserve your rooms now! On my first day in Tampa, my brother Hampton took me and my husband Vaughn to Ricks on the River. It's a quaint little marina, bar and grille located on a beautiful Hillsborough river. The food is very good and the atmosphere was tranquil when we had lunch there. They have a varied menu. I had the philly cheesesteak while hubby had a seafood feast platter and Hampton had raw oysters (yuk!). We had a great time. If you are in the area, check them out! Let McMillian Travel plan your Tampa getaway today! 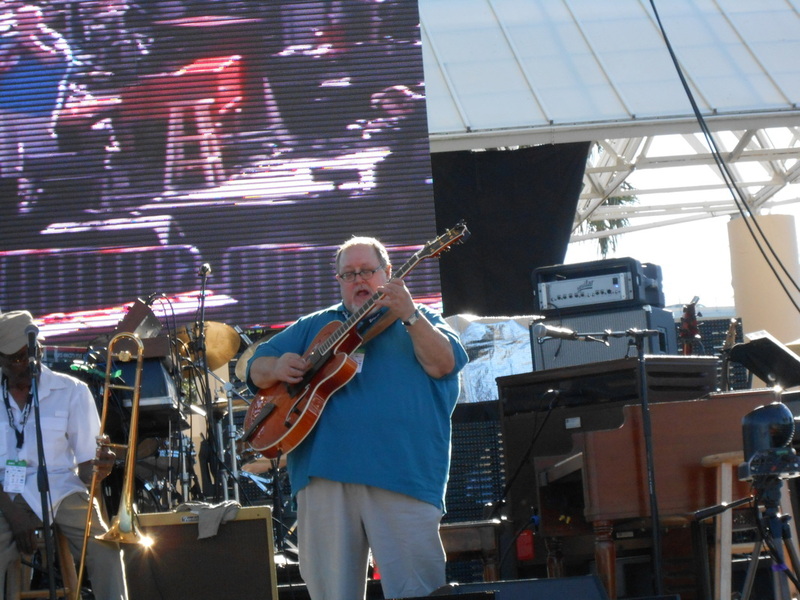 On October 16, Iwas in Clearwater Beach, Florida for the Clearwater Jazz Holiday. It is always the third weekend in October (so you can put it on your calendar). First, we came to our hotel, Quality Hotel on the Beach. The general manager, 'Manny" (Emmanuel Oliver), greeted us in the lobby (how is that for customer service?). Although check-in is at 3pm, it was noon and we were able to check-in right then. I was hoping they would mess up my reservation and give me an ocean view room...but they didn't. We had a city view but we could look to the right on our balcony and see the ocean. Ihop is located on site. We went there to eat after unpacking. Our waiter, Michael, was kind and very friendly. I had the bacon and white cheddar melt (an omelette with bacon and fresh spinach topped with shredded cheddar, white cheddar and fire-roasted tomato spread on grilled artisan sourdough bread) and fresh fruit. I was glad I only ordered half of a sandwich because it filled me up. My husband had the Colorado omelette with chocolate chip pancakes. We were both pleased with the meal and the service. Now on to Coachman Park for day one of the Jazz Holiday. We were in the VIP section right in front of the stage. I chose seats on the fourth row (my mistake). We were close enough to see and take photos. Tomorrow I will try to get on the front row. (It is hard to take photos when others and standing up in front of you. Gates opened at 4pm and entertainment started at 4:30pm. For details on the entertainment on the first day, my next blog will cover that. Get ready for the 2015 Clearwater Jazz Holiday, call us to reserve your space now! On October 14, 2014, We (me and my husband Vaughn) were able to travel to Tampa, Florida to see my brother Hampton Allen. He is the applause director with Encore Digital Studios. Any type of media production you need, he will take care of you and you will be impressed with his insight and creativity. We were there to work and network. However, on Wednesday, we were able to see some of the sites in Tampa. We went by the facility where they race Greyhound dogs. We also went shopping at a place called Magic Mall. It is actually a large building with various vendors who sell items at discounted pricing. I chanced it and bought a pack of 6 bras for $10. I must say, I was not disappointed. They actually proved to be some of the most comfortable bras I have ever worn. I also purchased 3 belts for $5. I haven't used them yet but as long as they hold up my pants, I am sure they will be fine. I should also mention they had Fedora type hats for $3 each. There was just too much to see. But they had a little of everything there. Other sites we passed included golf courses, an outside laundromat and Total Wine Stores. The outside laundromat was funny to me. It was like washers and dryers with a shelter over them. If I go back by, I will make sure I take a photo. That was a first for me. Another first was the Total Wine Store I visited, This store was as large as a regular retail shopping store in North Carolina. This store has a price book with all the pricing of items in the store. The book is only 104 pages!! I have never seen such a large store with beer, wine and liquor! They also have snacks, stemware and non-alcoholic beverages. Fourteen isles and I think I walked each one of them in awe. I told my brother it should be a warehouse and not a store! So, my day of sightseeing was interesting , to put it mildly. I am looking forward to the rest of the week. 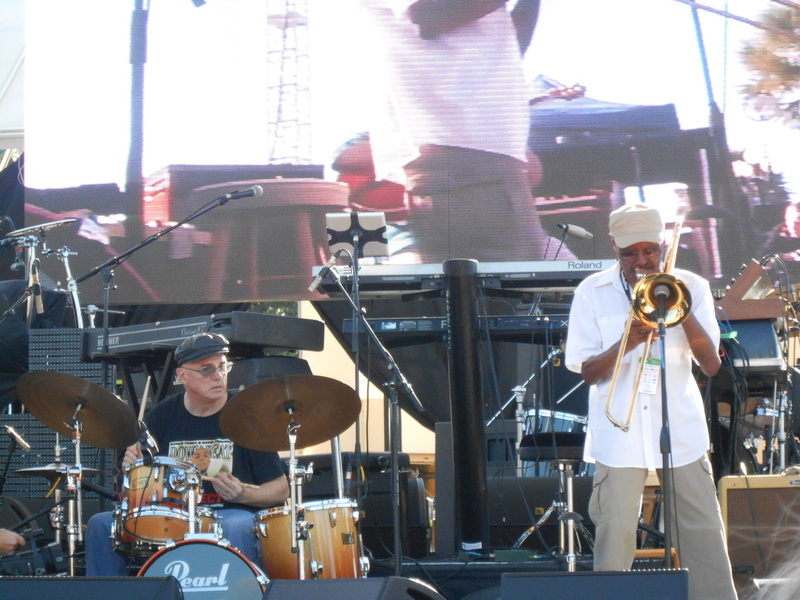 The Clearwater Jazz Holiday starts tomorrow at Coachman Park in Clearwater Beach, Florida. I am looking forward to attending since it will be my first time at the event. It is a 4 day event of live music and Jazz! This is the 35th year of the event. This is a world-class gathering of some of the greatest talents and will include Earth, Wind and Fire, Spyro Gyra, Dirty Dozen Brass Band, Dr. John & The Nite Trippers, Boogie on the Bay, Edward Sharpe & The Magnetic Zeros and Trombone Shorty & Orleans Avenue. I will be blogging about my experience while at the festival. I will also be planning a group trip here next year for jazz lovers. So make sure you join our mailing list so we can inform you of upcoming trips we will be planning. For all your cruise and vacation packages, call McMillian Travel at 704-994-8747 ext 1. Excerpts from the e-book "101 Tips for Traveling on a Budget"
The key to budget travel is to plan ahead. When it comes to family trips, globetrotting, well-deserved vacations and/or going to see new places we have never been before, the reality of cost and budgeting is always in the back of our minds. Planning and spending our travel dollar wisely is a priority for most families. Curbing spending and costs, while still enjoying your vacation to its fullest, is the key to guaranteed success and fiscal responsibility. Your pocketbook and family will thank you. The reason behind saving money while traveling is simple. Even if your personal budget is extremely tight, you can still take a break and enjoy life! Simply put, life is just too short to never step out of the door or leaving the homestead! Also remembering that while traveling, whether on a budget or not. even the smallest of things can all add up to a large vacation or travel bill! For example, all those hotel extra's, cab-fares, tips, restaurants, car rentals. for your own vehicle if on a road trip, tickets for special attractions or events, beach-and-pool-side drinks (if not at an all-inclusive resort or cruise) and more, adds on and piles up. In the coming weeks we will be looking at various tips that will assist you in traveling on a budget. The first tip the book lists is to : Make a list of some; any or all of the destinations you would like to visit in your lifetime...and then plan to get to at least one this year! Like anything else in life, travel needs to be planned for somewhat. It is almost like setting a short-(term) "SMART" goal for leisure and vacationing. So, what type of list do you have? Where would you like to go? Start planning now so that you will be able to visit one of your destinations. If not this year, what about next year? The key is to start planning and budgeting so that you can go to one of the destinations on your list. Call McMillian Travel. Our travel doctors will write the vacation prescription for what ails you! We will assist you in creating the dream vacation or get-away that you want usually within the realistic budget you are looking for. Don't put it off another year. Start by calling 704-994-8747 ext.1 or go to our website home page and fill out the vacation intake form. Its just that easy. We look forward to working with you on the vacation of your dreams. Excerpts take from the e-book "101 Tips for Traveling on a Budget"
1. Maximize gas mileage and efficiency. A well-maintained vehicle will go a long way to ensure carefree driving. It is advisable to travel in a small economy car. It could be your own or a rental. However, bear in mind, the smaller the vehicle, the better it will be on gas. Minivans and sport utility vehicles are practical only if you have to transport a large family and lots of equipment or luggage. 2. Keeping yourself and others entertained while on the read is no small task. Music or books on tape or CD..can be a lifesaver. Solo driving can become extremely boring especially when all others have nodded off and all falls silent. However, when you are actively listening, on the edge of your driver's seat so to speak, while listening to a novel or mystery, the time passes by quite quickly. 3. Pack a snack. Bring your own refreshments and snacks. Gas station prices on drinks and sack foods are high. Avoid these during a pit stop if you are counting your travel dollars. A cooler packed with lots of cool drinks, water and ice and/or a thermos of coffee or hot water for tea, some fruit, granola bars, or a sandwich, goes a long way to still the hunger and save you money by avoiding all high priced stops en route. 4. Gas fill-ups. For filling up your car en route, avoid pushing to the limit until the gas runs out or filling up at or in remote locations. The rationale in this statement: gas will obviously be more expensive, the more remote or isolated the station is. If you miscalculate and the light on the dashboard indicates that you are really in need, opt for fulling just half a tank until you reach the next more densely or major populated destination, where gas might be a little cheaper. 5. Travel necessities. It is advisable to be traveling with basic value-add necessities. like a cell phone and a first aid kit. Both can prove to be essential in emergencies. 6. Communication needs. McMillian Travel says: If you do not have a regular cell phone, invest in a prepaid phone. It will save you money in the long run and you will not have to worry about hotel charges if you need to make calls from the hotel. It will also give peace of mind to your family so that they will be able to contact you in case of emergency. There are many things to think about when planning travel. Let McMillian Travel assist you with your travel plans. Our travel doctor on staff will be able to write the perfect prescription for your travel needs. 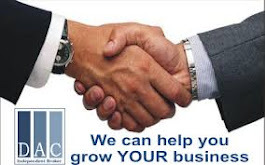 Call us today at 704-994-8747 ext. 1. What are you waiting for? Let's go somewhere!